People always ask me why they would need a curling iron versus a curling wand. The answer is simple; you use a curling iron when you want sleeker, shinier, more polished waves/curls. Use this 1 ¼" curling iron to get relaxed, polished waves on medium to long lengths, or subtle bend on bobs and lobs. Bend the ends for a more polished look, or slide the curling iron straight through your ends for a more undone, relaxed look. Titanium barrel with temperature sensing rapid heat technology outperforms ceramic, delivering fast, even heat, for more consistent curls and longer lasting styles. 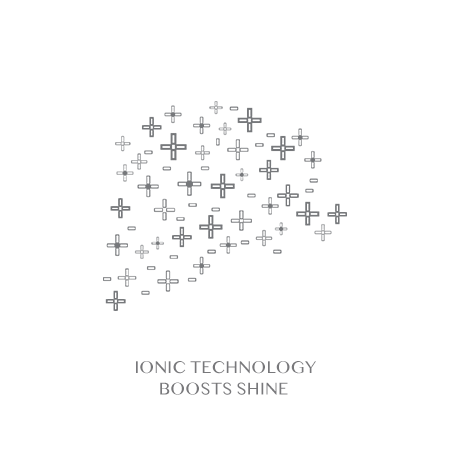 Negative ions lock in moisture, enhance shine, and eliminate frizz. Super smooth barrel, with ergonomic thumb grip and heat resistant tip, minimizes friction on the hair and eliminates creasing. Digital display + 4 temperature pre-sets (up to 425° F) allows you to customize the temperature based on your hair type and texture. Automatic shut-off after 30 minutes of non-use, built-in safety stand, and 9 ft swivel cord.